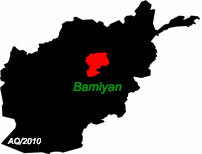 Tolo News: Bamiyan, which is known as the safe haven of the country, has been hard hit by the recent spike in insecurity in neighboring provinces, as key highways leading to its center are no longer secure. This has affected both domestic and foreign tourism in the province, officials said. Click here to read more (external link).